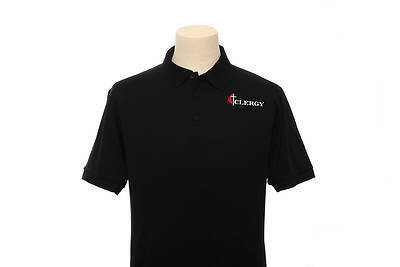 3 button placket, polo shirt with pocket and stain release finish. Features a cross and flame "Clergy" matte vinyl emblem. Each shirt comes individually wrapped with care instructions. Image shown does not have pocket.